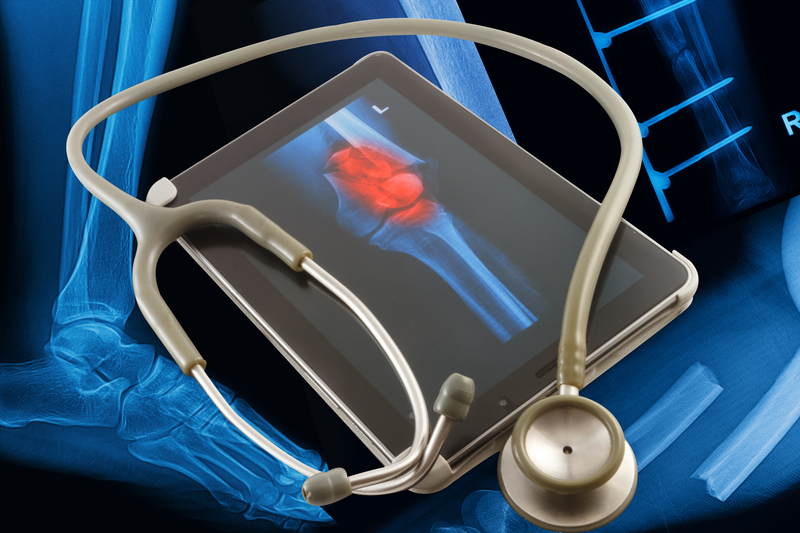 Orthopaedic Imaging allows us to specialize in injuries and diseases in your musculoskeletal system. High quality images let us pinpoint the areas of concern with the greatest technology available. Once we’ve diagnosed the ailment, whether it derived from a sports injury, disease of the bone, or pain management with your joints, we will be able to treat your problem and restore your body back to health. Diagnostic radiology (or conventional radiology) uses X-rays and DXA scans to measure bone mineral density in addition to fluoroscopy imaging for joint injections to be used with arthrograms and steroid injections. MRIs allow us to examine each area of the musculoskeletal system for injuries, the presence of structural abnormalities, or conditions like bone marrow disease and osteonecrosis. We use a 1.5 Tesla magnet to get edge perfecting digital images. Additionally, arthrography is included in MRI imaging. CT Scans cover all areas of the musculoskeletal system as well as arthrograms. This is a quick, painless way to examine and diagnosis many parts of the body. Ultrasounds help in cyst aspiration of joints and with the peripheral nerve. They let us look at the soft tissue areas of the joints, tissues, and surrounding bones for any indication of a problem. Nuclear medicine includes bone scans used to evaluate pain and look for bone metastases. This process involves the application of radioactive substances in the diagnosis and treatment of disease. Or fill out a quick contact form today! Start learning why the valley area and beyond trusts us with their musculoskeletal problems today!